Thanks for taking the time to visit our website. We want to make sure you find the information you are looking for. If at anytime, you cannot find answers to your questions, please use the Contact Us page and call or send in your question. We want to provide information to you in a quick, effective manner and we have a strong client service staff to help you. 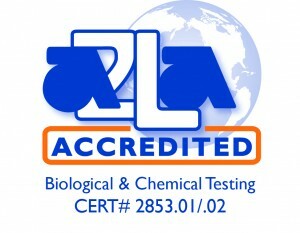 *Information regarding certification and rush analysis should be obtained by speaking directly to a Midwest Laboratories Customer Service Representative (Office) 402-334-7770. **Normal turnaround time on soils and plants is 2 days after the sample is received at the laboratory. Set up a New Account – New accounts are typically setup the same day of arrival. Your new account will allow for online viewing of historical data as well as monthly invoicing. Contact Us Page – Receive answers to your questions. Many ways to submit questions. Submit a Bid – Fill out this form for submitting a formal bid request for analytical testing work based on number of samples, analysis and price. Company Information – Learn more about Midwest Laboratories 40 years of analytical work. rush service must be coordinated in advance of sending sample to Midwest Laboratories.